Joy Candellaro is having a very hard time right now. Her husband left her this past year. She’s given up on life and it is Christmas. What’s a girl to do? Run away. When her sister arrives in her driveway with news Joy really doesn’t want to hear, she does exactly that, all the way to the airport. All Joy wants to find is hope. So she boards a plan and heads north. But then the unthinkable happens and she finds herself, hurt and lost. She stumbles upon an old fishing lodge belonging to a little boy and his dad. 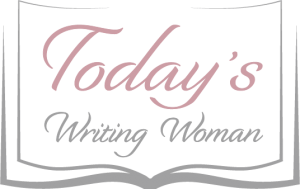 They are in the midst of fixing it up when Joy arrives at the front door. Bobby O’Shea is missing his mom though, and his father Danny is just trying to help him cope and get him through the holiday. Joy spends her time there trying to heal and to help Bobby. 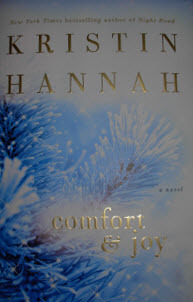 The story seems so believable and then Kristin Hannah delivers a twist that is completely unexpected to Joy and she has to figure out if she can believe what she remembers and try to go back and find it. This is a beautiful story about believing, faith and hope.